November 13 – December 2, 2018. 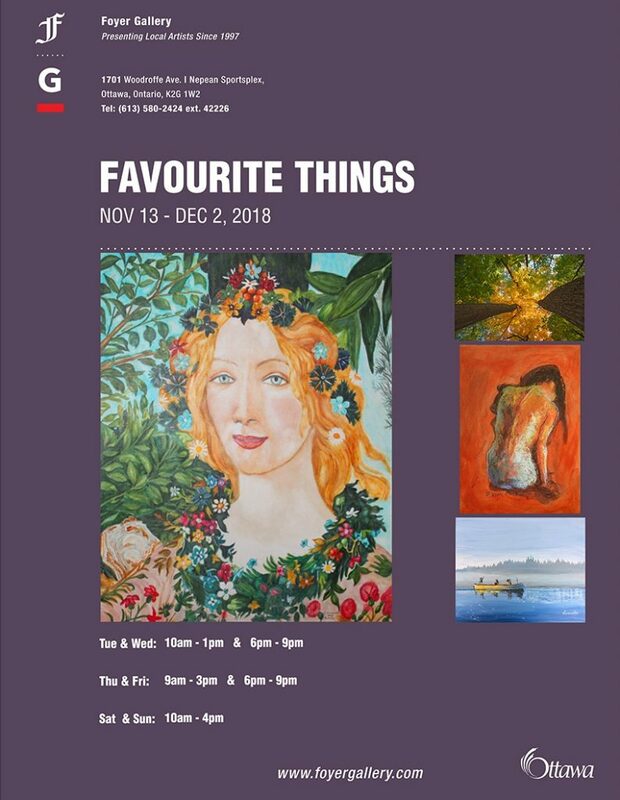 The Foyer Gallery presents “Favourite Things”, a group show featuring the works of gallery artists. Visit our gallery to see these great and affordable artworks!